Were Hedge Funds Right About Selling DowDuPont Inc. (DWDP)? The 700+ hedge funds and money managers tracked by Insider Monkey have already compiled and submitted their 13F filings for the fourth quarter, which unveil their equity positions as of December 31. We went through these filings, fixed typos and other more significant errors and identified the changes in hedge fund positions. Our extensive review of these public filings is finally over, so this article is set to reveal the smart money sentiment towards DowDuPont Inc. (NYSE:DWDP). Is DowDuPont Inc. (NYSE:DWDP) a buy right now? Money managers are taking a pessimistic view. The number of long hedge fund positions decreased by 2 lately. Our calculations also showed that DWDP isn’t among the 30 most popular stocks among hedge funds. DWDP was in 67 hedge funds’ portfolios at the end of the fourth quarter of 2018. 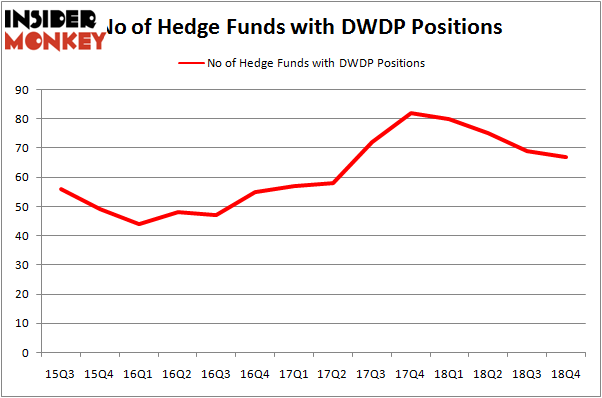 There were 69 hedge funds in our database with DWDP holdings at the end of the previous quarter. Let’s take a glance at the key hedge fund action regarding DowDuPont Inc. (NYSE:DWDP). How have hedgies been trading DowDuPont Inc. (NYSE:DWDP)? At Q4’s end, a total of 67 of the hedge funds tracked by Insider Monkey were bullish on this stock, a change of -3% from the second quarter of 2018. By comparison, 80 hedge funds held shares or bullish call options in DWDP a year ago. So, let’s check out which hedge funds were among the top holders of the stock and which hedge funds were making big moves. 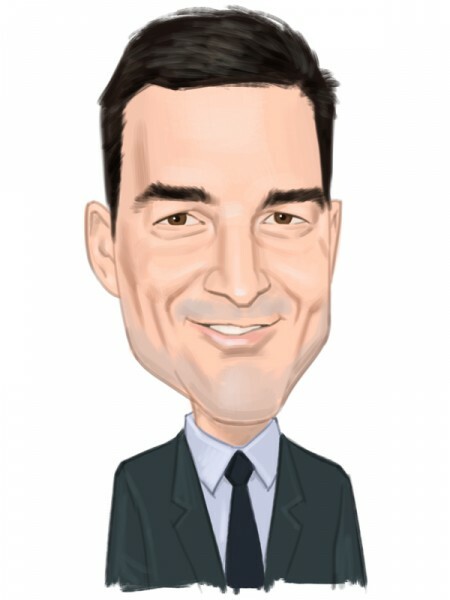 When looking at the institutional investors followed by Insider Monkey, Dan Loeb’s Third Point has the number one position in DowDuPont Inc. (NYSE:DWDP), worth close to $516.4 million, comprising 7.9% of its total 13F portfolio. On Third Point’s heels is Glenview Capital, managed by Larry Robbins, which holds a $460.8 million position; the fund has 4.5% of its 13F portfolio invested in the stock. Remaining professional money managers that hold long positions encompass Daniel S. Och’s OZ Management, Andreas Halvorsen’s Viking Global and John A. Levin’s Levin Capital Strategies. Seeing as DowDuPont Inc. (NYSE:DWDP) has faced declining sentiment from hedge fund managers, it’s safe to say that there exists a select few hedgies that decided to sell off their positions entirely last quarter. Interestingly, Aaron Cowen’s Suvretta Capital Management sold off the biggest investment of the “upper crust” of funds watched by Insider Monkey, comprising an estimated $280.1 million in stock, and Mark Kingdon’s Kingdon Capital was right behind this move, as the fund said goodbye to about $45.3 million worth. These transactions are important to note, as total hedge fund interest dropped by 2 funds last quarter. Let’s check out hedge fund activity in other stocks – not necessarily in the same industry as DowDuPont Inc. (NYSE:DWDP) but similarly valued. These stocks are Eli Lilly and Company (NYSE:LLY), SAP SE (NYSE:SAP), Medtronic plc (NYSE:MDT), and BHP Group (NYSE:BHP). This group of stocks’ market caps match DWDP’s market cap. As you can see these stocks had an average of 32.75 hedge funds with bullish positions and the average amount invested in these stocks was $1701 million. That figure was $3444 million in DWDP’s case. Medtronic plc (NYSE:MDT) is the most popular stock in this table. On the other hand SAP SE (NYSE:SAP) is the least popular one with only 14 bullish hedge fund positions. Compared to these stocks DowDuPont Inc. (NYSE:DWDP) is more popular among hedge funds. Our calculations showed that top 15 most popular stocks among hedge funds returned 19.7% through March 15th and outperformed the S&P 500 ETF (SPY) by 6.6 percentage points. Unfortunately DWDP wasn’t in this group. Hedge funds that bet on DWDP were disappointed as the stock returned 4.1% and underperformed the market. If you are interested in investing in large cap stocks, you should check out the top 15 hedge fund stocks as 13 of these outperformed the market. Here is What Hedge Funds Think About Cisco Systems, Inc. (CSCO) Should You Buy The Boeing Company (BA)? Were Hedge Funds Right About Novartis AG (NVS)? Were Hedge Funds Right About The Coca-Cola Company (KO)? Do Hedge Funds Love Taiwan Semiconductor Mfg. Co. Ltd. (TSM)? Were Hedge Funds Right About Merck & Co., Inc. (MRK)?